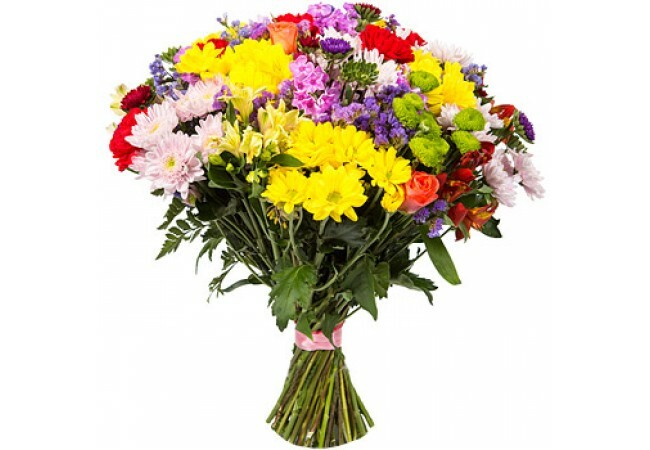 Description of the bouquet: Colourful composed bouquet of chrysanthemum, pinks and greenery. 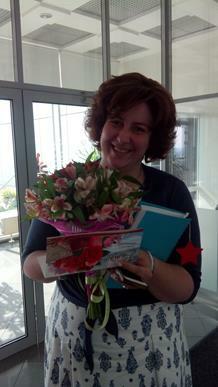 The bouquet is good congratulation with Birthday Day, Anniversary and just to cheer up! Composition of the bouquet: 3 roses, 5 multicoloured chrysanthemums, 5 cornations, greenery, package.